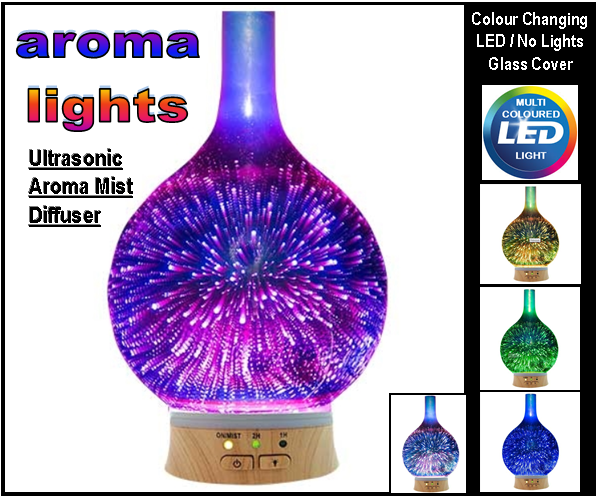 Aroma Lights Ultrasonic Mist Diffuser & Humidifier. 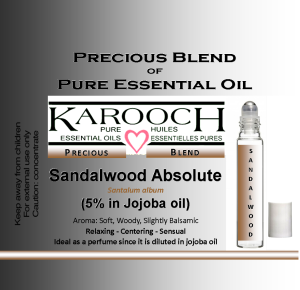 Aromatherapy – Spa – Home Fragrancing – with Essential Oils. Essential Oil “Ultra Sonic Diffusers” Cool Mist Distributes Water and Essential Oils into the Air. Aromatherapy Diffuser Atomizer, Humidifier, Air Purifier. Aromatherapy – Spa – Home Fragrancing – with Essential Oils – Fresh and aromatic mist for your home and well-being. The Aroma Lights Ultrasonic Diffuser & Humidifier maintains a fresh, aromatic and soothing atmosphere in any room. The most efficient form of diffustion, oils are not heated. Unlike conventional essential oil burners and heaters, this diffuster uses ultrasonic technology which converts the oil and water under high frequency vibration into a fine cold mist. This mist is then diffused throughout the entire room creating a natural spa-like atmosphere. No heat, chemicals, or pump needed. Safe, silet, effective and economical. Concealed push controls at base of unit. Coverage up to 500 sq.ft. 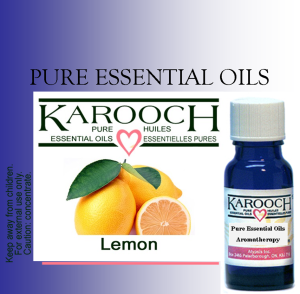 A refreshing way to disperse essential oils into your home or office. Humidifies & Purifies the air. Its quiet, efficient, safe (automatically shuts off when water level is low) and easy to use. Diffusing essential oils is one of the best ways to receive their therapeutic benefits. When we inhale essential oils, they go straight to our brain and are sent directly to other parts of the body to regulate and moderate. There is a tremendous amount of science behind it. ** Note only use Water-soluble essential oil. *NO thick Oils” Use De-mineralized water only Distilled or Reverse Osmosis. Fill as indicated, do not overfill, better to be under filled. Essential oil diffusers are specifically designed to break the essential oil into small particles and disperse it into the air. The ultrasonic diffuser creates a fine mist and sends tiny oils particles into the air. 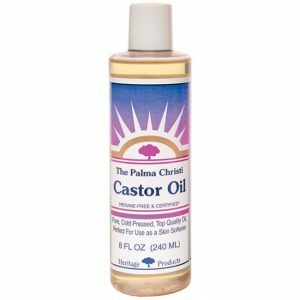 Generally you add water and the water and oils are distributed into the air. This is particularly good in drier winter months because moisture is added to the air. Because a small amount of oil is added to water, these are very economical to run. CREATE . A POSITIVE . EFFECT . ON THE . ENTIRE BODY!